The Winklevoss Index (referred to as the WinkDex), which launched back in February, is a blended Bitcoin index that they hope will become the canonical Bitcoin price for Bitcoin companies all over the world. 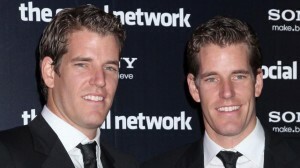 The index is run by the Winklevoss twins: investors who were involved in the early creation of Facebook and have expressed considerable interest in Bitcoin in recent months. The WinkDex collects data from Bitcoin exchanges all over the world, and merges the data together to calculate an accurate price. The WinkDex was developed in an attempt to provide an accurate way to price assets for the Winklevoss’ upcoming Bitcoin trust. The WinkDex has already seen some success (the trust is supports is going to be listed on NASDAQ), but today Fortune magazine reported that the WinkleVoss twins will be releasing an API to allow a number of Bitcoin-based services to use the Winkdex price automatically. This would be useful for everyone from e-commerce giants trying to keep BTC prices pegged to a USD value, to Bitcoin trading bots looking for arbitrage opportunities. If the WinkDex successfully becomes the standard, and is used across the Bitcoin industry, it will further the twins apparent goals of becoming a bridge between the Bitcoin and traditional financial sectors, serving as a legitimizing force for Bitcoin industry and a change-bringer for traditional finance. Both are profitable roles, and both would help to provide an element of stability to the often ephemeral nature of Bitcoin establishments. Cryptocurrency exchange Gemini launches in U.K.
to write this beneficial post. Within the post, you spoke on how to really handle this challenge with all comfort. as offer other folks what I discovered from you.